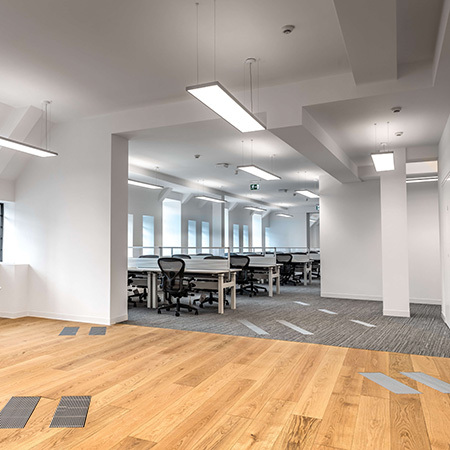 AET Flexible Space have returned to 33 Glasshouse Street, London, to complete Cat-B fit-out works on the 2nd, 3rd and 5th floors for one of the world’s leading tech giants. 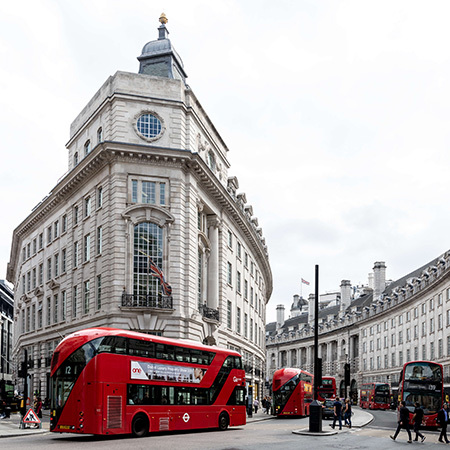 The CAM-C direct expansion system at 33 Glasshouse Street is served by external heat pumps and provides fully conditioned air via the underfloor plenum using zonal downflow units (CAM). 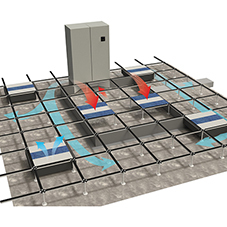 Cool or warm air is then introduced into the workspace via TU4-EC Fantiles, or fan terminal units, which are recessed into the 300mm void. 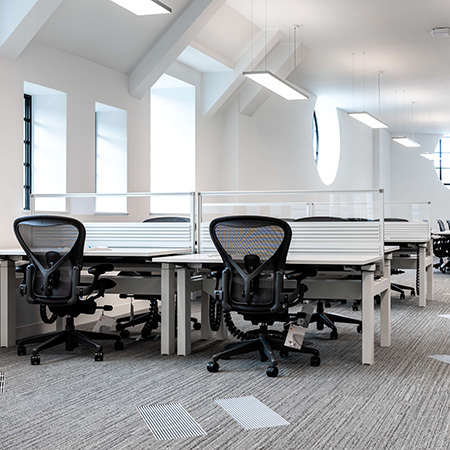 AET engineers carried out additional fit-out works for the incoming tech giant including the supply and installation of additional Fantiles, return air grilles and underfloor air baffle to cater to the proposed high density layout and accommodate the additional cooling requirements. 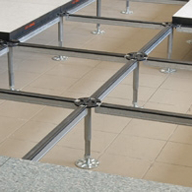 Sound attenuator boxes were also installed beneath the grilles to minimise noise transfer between the open plan workspace and cellular meeting pods. User control of the UfAC system is enhanced by twenty one new wall mounted Flextouch controllers, permitting easy adjustment of temperature and fan speed. The Cat-B works were completed in September ready for the incoming client.